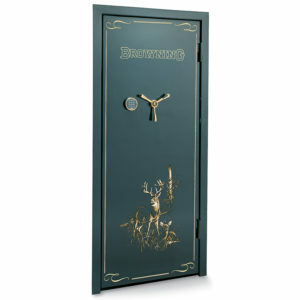 Protect your guns and valuables behind a classic 6-panel door with massive security. 20 bolts (10 active), 2″ of fire insulation, 10 ga. steel, concealable keypad. 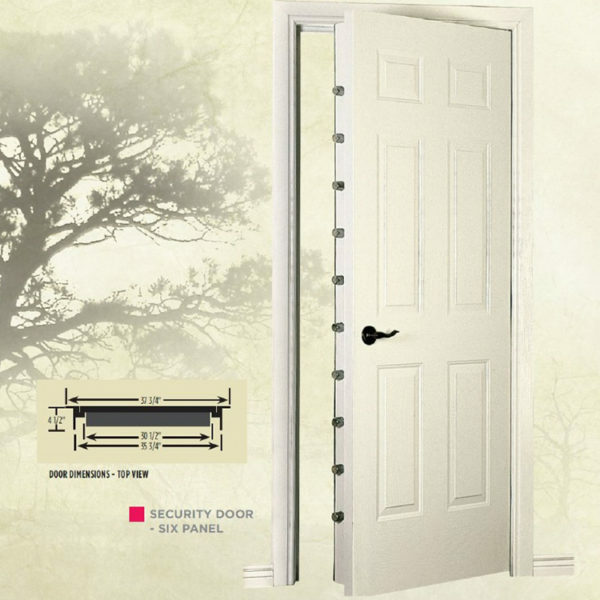 With the appearance of a standard residential door, the Security Door is the perfect option for the person who prefers to be more discreet about the presence and location of valuables. This can be especially valuable to you if the door to your built-in vault will be in a location in your home where visitors might access frequently — especially visitors who are not really interested in seeing your gun collection. And it is equally valuable for those living where you would just as soon have it that visitors didn’t know about your guns at all. 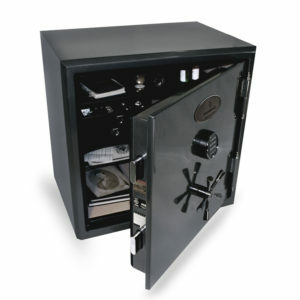 This is the perfect solution short of putting a vault door or safe behind an additional locked door. That solution works, but it takes up more room in your home. 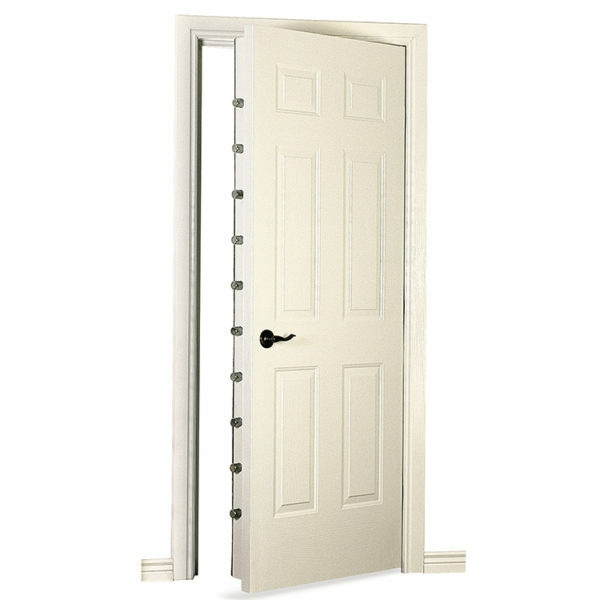 The Browning Security Door offers an excellent combination of solid protection from break in as well as an ample level of Fire Protection. Looks just like a locked door to another room, not a safe. 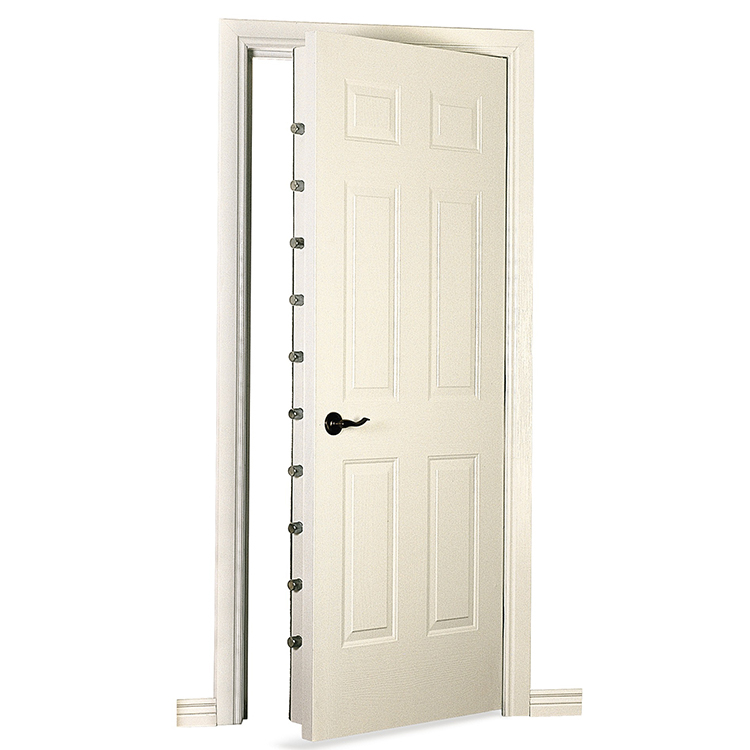 The Security Door includes a UL® Listed Type I Electronic Lock with a keypad that can be mounted and concealed up to seven feet from the vault to further hide the true nature of the door. This is actually a really cool feature that you will appreciate. It looks great and fits your guns and gear. A properly built vault room allows you the greatest amount of latitude and creativity in the way your guns are displayed. For those of us with collections of unique and rare guns it gives the ability to show or display the guns without moving them in and out of a conventional safe, risking dings and scratches. 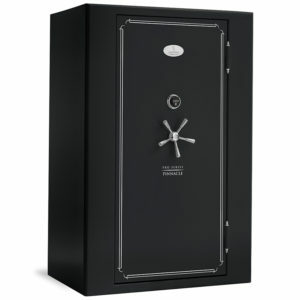 A vault room using a Browning Security Door also adds greater versatility allowing safe and secure storage of expensive gear, documents, heirlooms and more.